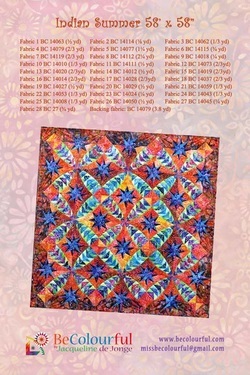 Indian Summer, a brand new design, and the first quilt Jacqueline made of the freshly new designed fabrics. And they're gorgeous. 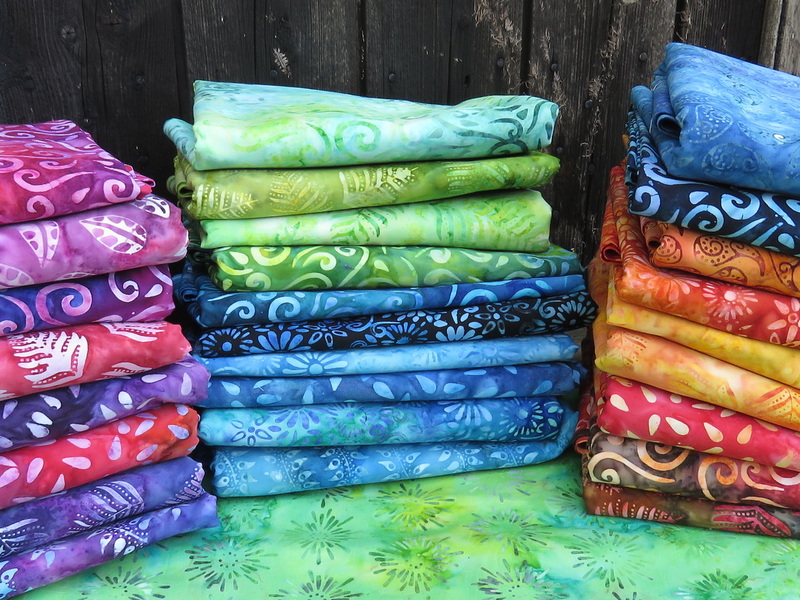 The colours in this quilt, 28 in total, are so bright and colourful. Better Together was a joy to make. It was great to work with these gorgeous fabrics. And this design is just slightly more difficult than Carousel. 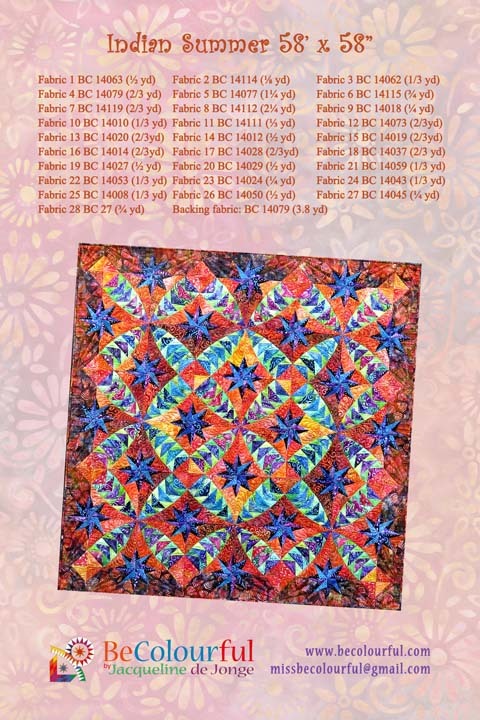 What makes this quilt special is the bright and colorful pieces together with the gorgeous pastel colors. 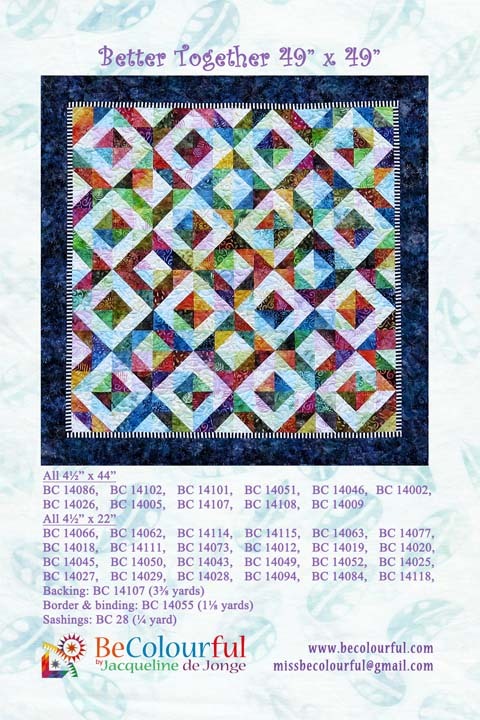 Those two combined make this quilt a joy to look at with the flowers and the dragon flies.